You are launching your affiliate program on Rakuten Affiliate Network and the set-up process is just about complete with the exception of one item, the affiliate offer (baseline offer). The offer is perhaps the most important part of the program. It houses the program details (e.g. payouts, cookie life, and terms of service). I will be providing a step-by-step guide to creating and publishing offers for your affiliate program on the Rakuten Affiliate Network. This is the first step in actually creating it. 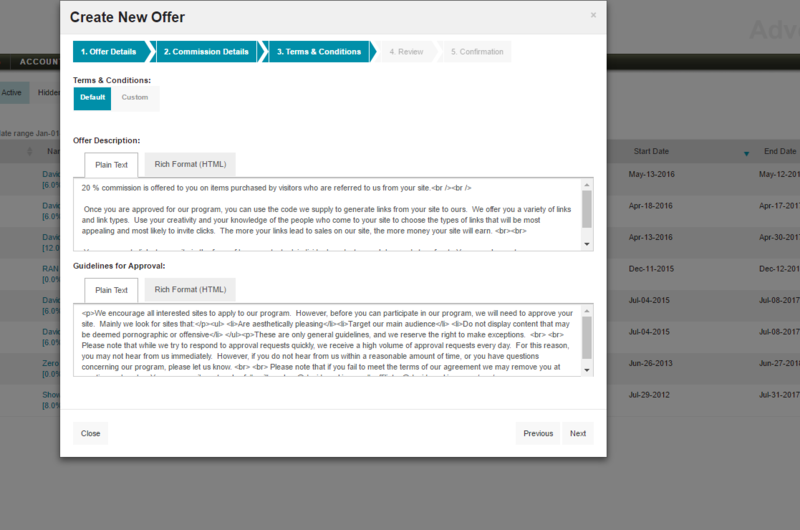 Name the offer (if you plan to have multiple offers add a V1 or add commission percentage to the name so it can be differentiated), add a start an end date, select if it will be private or public, and cookie length. Once those pieces of information have been added click “Next”. This section is where you will add the payout details for the affiliates. There are four different options, but you must select the one that best fits your business. The most common is “% per sale”. After the percentage is added tiers can be added like if there are 25 sales in a given month from a specific affiliate then the percentage will be X%. Click “Next” when ready for the following step. This is a vital step and needs to be as detailed as possible. RAN provides generic terms and conditions, but I recommend creating your own that include exactly what affiliates can and cannot do and the penalties if they fail to comply. This is where the PPC rules will be added, coupon policy, FTC statement, and any other rules you want the affiliates to follow. Click “Next”. Almost complete! Now, review the offer to ensure accuracy. Once reviewed and verified you can either hold the offer or launch it. By hitting launch, it will go live immediately and holding it will save it and when ready it can be launched. 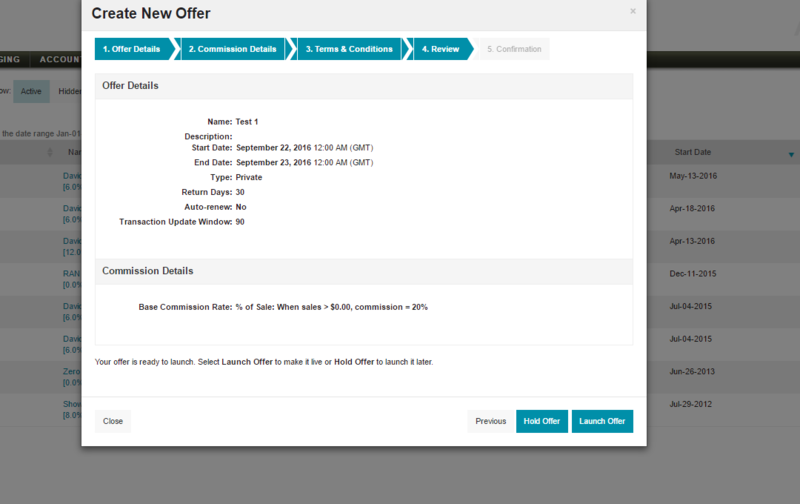 When the offer is officially launched go to the main navigation and hover over “Offers” and click “Offers”. It will take you to a page to view all current live offers, any hidden offers, expired offers, or upcoming offers. 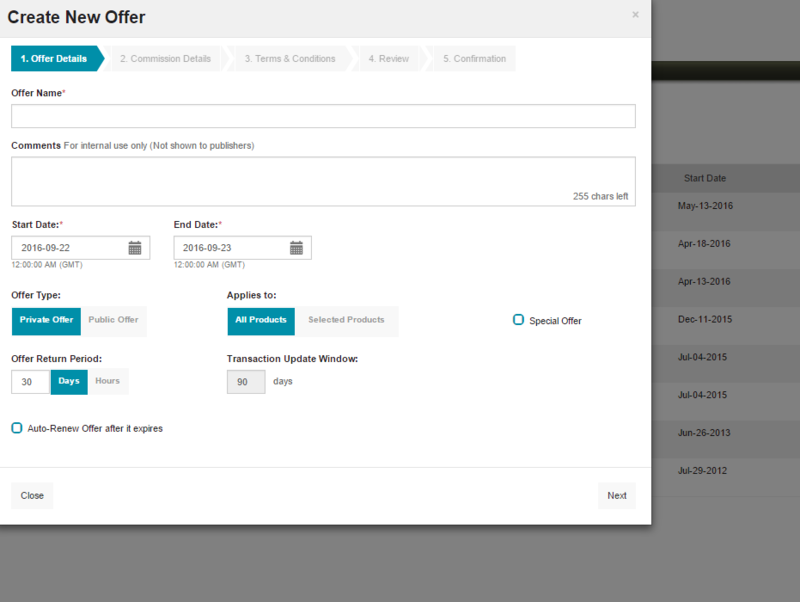 Here you can also edit the offers, and change the designated default offer to the one of your choosing. *Note- In order to extend private offers of the baseline to affiliates through the RAN interface a copy (mirror) of the baseline offer needs to be created or else offers cannot be extended using the baseline offer. 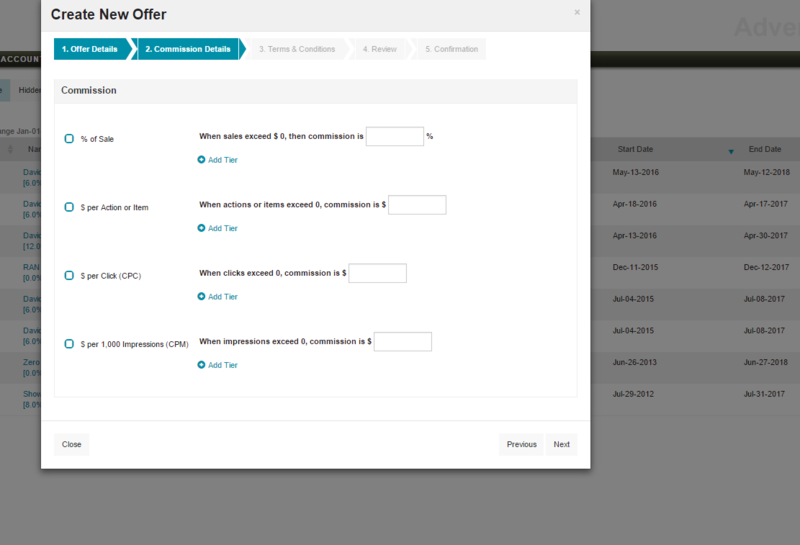 However, if custom offers are made they can be extended without creating a “mirror” offer. Setting up offers is not difficult, but it is a task that need to be completed with precision. Once you set up one the rest are easy (if you decide to have multiple).